While the Beer Store (and its hip offshoot The Beer Boutique) and the LCBO are the obvious places in Toronto to stock up on beer, there are other options. These days, with the influx of craft beer brands, it's never been easier and more convenient to buy beer direct from a local brewery. And why not? The product is at its absolute freshest, you get to support a local business and, a lot of the time, the locations have extended hours that are a little bit more reasonable than those at your more generic option. So, to help you support your local brewers, here's a list of Toronto's breweries that offer retail service--complete with their hours and some information about what exactly they offer. With a new retail location that opened earlier this week, Amsterdam is set to broadly expand their retail offerings. They will still sell 355ml sized bottles of their "staple" beers (some of which are regularly available in 25 packs for $31.95), but, with more room for experimental brewer Iain McOustra to play, you can expect they'll be stocking a lot more of their unusual offerings and seasonal beers, which typically come in 500mL bottles and vary in price. At Cool Brewing's retail store you can pick up a number of their in-house brands as well as some that are contract brewed on site. Along with flagship Cool Beer and Buzz beer, you'll also find Duggan's beers and Saint Andre Vienna Lager. There are some pretty good deals too, if penny pinching is your thing: You can grab four Cool Beers for $5 and bottles of Stonewall Light Lager are just $1.25. You're not likely to hit up the pioneer village to stock up on beer before your next party, but if you're ever in the area, you really should consider stopping by for some of their great beer. Just tell the gate staff you're only going to the brewery so you can skip the $15 admission to the village and you can get growlers of Black Creek's historically brewed offerings for $16. The offspring of a merger of two Molson-owned brands, Granville Island Brewing and Creemore Springs Brewery, the Beer Academy bills itself as a space for beer experimentation and tasting. In addition to Granville Island and Creemore products, they also sell growlers and quart bottles of their experimental offerings under the auspices of the "non-brand," Six Pints. The rotation of what's available can change but right now you can get growlers and quart bottles of their porter, dortmunder lager, india pale ale, and kolsch blond. Quarts only of their belgian brown and dunekl weiss are also available. This often underrated brewery in Etobicoke sells six packs of their Nut Brown and Pale Ales as well as their excellent seasonal beers. You can also pick up kegs, T-shirts, sweatshirts, and hats; as well as "home-made Black Oak Beer soap." What the hell, you already smell like a brewery most of the time anyway. Possibly the best value for craft beer in the whole city, Granite offers growlers of their in-house beers for $12 (plus a $4 deposit). And, with a couple days notice, they can also get reasonably-priced kegs (and pumps) to you in 20L, 30L, and 50L sizes. Great Lakes offers all their regular brands at their retail store as well as whichever of their seasonals are current. Their retail space is also a good place to find GLB's hoarder-friendly specialty offerings (when they're around). Right now, for example, you'll likely find their Imperial Black IPA, the third offering from their 25th Anniversary Beer series ($9.95 for 750mL). As of this post, the guys at Bellwoods are waiting for new tanks to arrive, which they're installing specifically to feed the still-under-construction retail store. Once the tanks are in, retail will be a big part of their operations given that they're essentially tripling their total brewing capacity. When the retail space next to the current brewpub opens (hopefully just before Christmas) they'll be selling 2L growlers, 1L growlers, and 650mL bottles filled with a range of their products. The 2L growlers and 650ml bottles will start at $13 and $5 tax in, respectively, with prices changing depending on the time required to produce the beer and the expense of the ingredients. They'll also be selling shirts, glassware, posters, bags, and books (just in time for stocking stuffing). 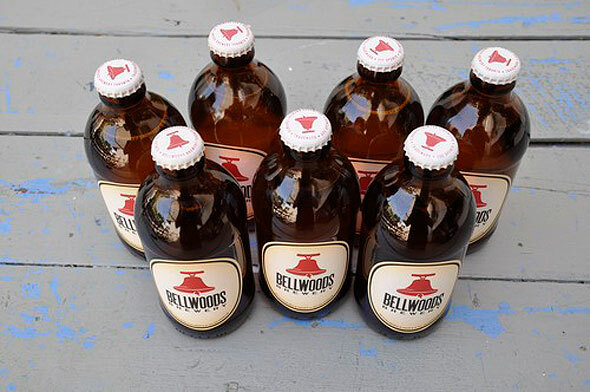 Until then, watch for news of Bellwoods pop-up sales, which they hope to continue through November. In the short time that Indie has been open, their retail shop has sold out every single day well before closing--sometimes in less than one hour of being open--so you'll want to get there early. For now, the products available are limited to 1.9L growlers of their staple beers--Street Wheat, Instigator IPA, Barnyard Belgian RYE-PA, and their Belgian Wit Bier--available for $20 (plus a $4 deposit). And while that may seem a little high, it's really not a bad price for small-batch, craft beer; plus, that price point seems to be serving them just fine thus far. You can, however, expect their higher alcohol and sour beers to be available in 750mL and 500mL bottles sometime before Christmas. When that happens, Indie's retail hours will expand, too. 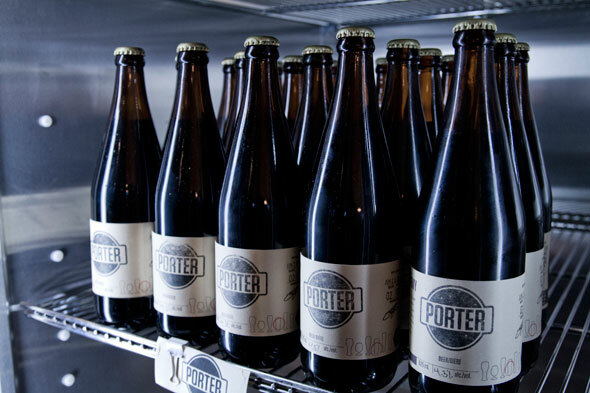 Mill Street offers all their commercially available beers at their brewpub retail space in single bottles, six packs, 12 packs, cases, and even kegs. You can also usually find a specialty beer or two as well as Mill Street's current seasonal offering in growlers for $12.50 (plus a $4 deposit). Long the Jays fan's worst-kept secret, brewery-fresh Steam Whistle is not only available to chug in a park before a ball game, but can also be bought in cases, and ordered for home delivery. For a small fee ($49.95 for kegs, $15 for cases of bottles), Steam Whistle will even come out with a bunch of ice and set up your party for you. For kegs, the fee includes set-up and loan of draught equipment and biodegradable cups, and for cases they'll set you up with a bottle trough for the evening. Hours Monday-Thursday: 12pm-6pm; Friday-Saturday: 11am-6pm; Sunday: 11am-5pm. Open on all statutory holidays except for Christmas Day and New Years Day. A pre-emptive note to the naysayers: Yes, it's a little sad that the list of places in Toronto to buy beer directly from the brewers is so small; but then again, this list is considerably longer than it would have been just a year ago, so here's hoping we can all support the growing craft beer scene and that the next time I summarize our retail brewery offerings there will be even more.